Step off the beaten path and head to Port of Hamburg and Speicherstadt. 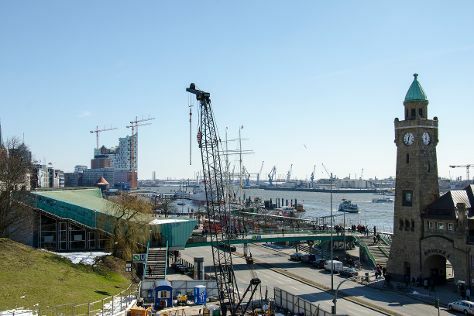 Explore Hamburg's surroundings by going to Timmendorfer Strand (Seebruecke Niendorf & Niendorfer Hafen) and Lubeck Altstadt (Lubeck Oldtown) (in Lubeck). The adventure continues: appreciate the extensive heritage of Alter Elbtunnel, make a trip to Townhall, test your problem-solving skills at popular escape rooms, and stroll around Park Planten un Blomen. For more things to do, ratings, where to stay, and more tourist information, use the Hamburg tour planner. Melbourne, Australia to Hamburg is an approximately 25-hour flight. You can also do a combination of flight and train; or do a combination of train and flight. You'll gain 9 hours traveling from Melbourne to Hamburg due to the time zone difference. Traveling from Melbourne in September, you can expect nighttime temperatures to be somewhat warmer in Hamburg, with lows of 12°C. Finish up your sightseeing early on the 22nd (Sun) so you can catch the train to Berlin. Explore hidden gems such as Berliner Dom and Victory Column (Siegessaule). There's lots more to do: get a sense of history and politics at Reichstag Building, observe the fascinating underwater world at Zoo Berlin, explore the galleries of Kaiser Wilhelm Memorial Church, and appreciate the history behind The Holocaust Memorial - Memorial to the Murdered Jews of Europe. To see where to stay, ratings, traveler tips, and other tourist information, refer to the Berlin tour itinerary app . You can take a train from Hamburg to Berlin in 2 hours. Alternatively, you can drive; or take a bus. Finish your sightseeing early on the 25th (Wed) so you can travel to Amsterdam. Known as one of the greatest small cities in the world, Amsterdam charms visitors with its cool and cozy atmosphere. Explore hidden gems such as Zaanse Schans and Room Escape Games. There's still lots to do: admire the masterpieces at Van Gogh Museum, take an in-depth tour of Anne Frank House, stroll through Vondelpark, and admire nature's wide array of creatures at ARTIS. To find where to stay, traveler tips, ratings, and more tourist information, you can read our Amsterdam trip itinerary maker . You can fly from Berlin to Amsterdam in 4.5 hours. Alternatively, you can do a combination of flight and train; or drive. In September, daytime highs in Amsterdam are 22°C, while nighttime lows are 13°C. Finish your sightseeing early on the 28th (Sat) so you can take a train to Antwerp. Its reputation as a business-centric city distracts many visitors from the real draws of Antwerp: its historical sites, architectural beauty, and lively culture. Eschew the tourist crowds and head to Walking tours and Central Station. Get out of town with these interesting Antwerp side-trips: Brussels (Grand Place, St. Michael and St. Gudula Cathedral (Cathedrale St-Michel et Ste-Gudule), & more). To see maps, photos, reviews, and tourist information, use the Antwerp trip planner . Take a train from Amsterdam to Antwerp in 1.5 hours. Alternatively, you can drive; or take a bus. In September, daily temperatures in Antwerp can reach 24°C, while at night they dip to 11°C. Finish your sightseeing early on the 1st (Tue) to allow enough time to travel to Geneva. Geneva brings the world to one small city with a huge expat population and the highest number of international organizations in any one city. On the 2nd (Wed), explore the activities along Lake Geneva. Get ready for a full day of sightseeing on the 3rd (Thu): get great views at Cathedrale de St-Pierre, then take your sightseeing to a higher altitude at Mont Saleve, then ponder the design of The Geneva Water Fountain, and finally test your problem-solving skills at popular escape rooms. For traveler tips, maps, ratings, and more tourist information, read Geneva trip planner . Traveling by flight from Antwerp to Geneva takes 4.5 hours. Alternatively, you can do a combination of train and flight; or drive. In October, plan for daily highs up to 19°C, and evening lows to 9°C. Finish your sightseeing early on the 3rd (Thu) so you can drive to Lucerne. In north-central Switzerland, Lucerne represents a small city boasting a well-preserved old town. Step off the beaten path and head to Mt Pilatus and Chapel Bridge. Explore the numerous day-trip ideas around Lucerne: Trümmelbachfälle (in Lauterbrunnen), Mount Titlis (in Engelberg) and Parasailing & Paragliding (in Interlaken). And it doesn't end there: contemplate the waterfront views at Lake Lucerne, get a taste of the local shopping with Altstadt Luzern, and pause for some photo ops at Lion Monument. 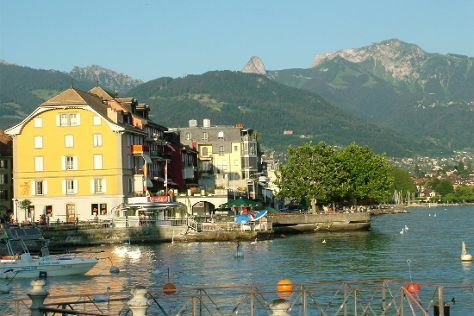 To see other places to visit, where to stay, photos, and tourist information, read our Lucerne vacation maker . Traveling by car from Geneva to Lucerne takes 3 hours. Alternatively, you can take a train; or do a combination of flight and train. In October, daytime highs in Lucerne are 17°C, while nighttime lows are 8°C. Finish up your sightseeing early on the 6th (Sun) so you can go by car to Freiburg im Breisgau. In the heart of a major wine-producing region, Freiburg im Breisgau serves as the primary entry point for tours into the scenic Black Forest mountain range. 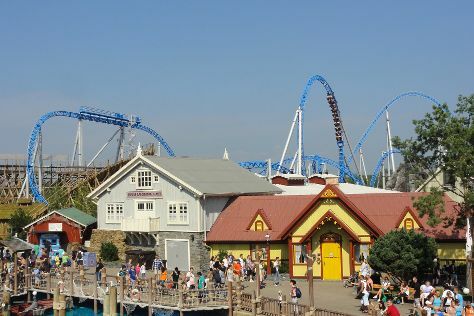 Start off your visit on the 7th (Mon): get in on the family fun at Europa-Park. To find photos, other places to visit, more things to do, and other tourist information, read Freiburg im Breisgau trip builder site . You can drive from Lucerne to Freiburg im Breisgau in 2 hours. Alternatively, you can take a train; or take a bus. In October, daytime highs in Freiburg im Breisgau are 19°C, while nighttime lows are 9°C. Wrap up your sightseeing on the 7th (Mon) to allow time to drive to Heidelberg. A vibrant university city, Heidelberg is nestled in the picturesque Neckar river valley. On the 8th (Tue), don't miss a visit to Altstadt (Old Town) and then step into the grandiose world of Heidelberg Castle (Schloss Heidelberg). For more things to do, photos, ratings, and other tourist information, read Heidelberg trip planner . Drive from Freiburg im Breisgau to Heidelberg in 2 hours. Alternatively, you can take a train; or take a bus. In October in Heidelberg, expect temperatures between 17°C during the day and 9°C at night. Wrap up your sightseeing by early afternoon on the 8th (Tue) to allow time for the car ride to Munich. You'll discover tucked-away gems like Zugspitze and New Town Hall (Neus Rathaus). 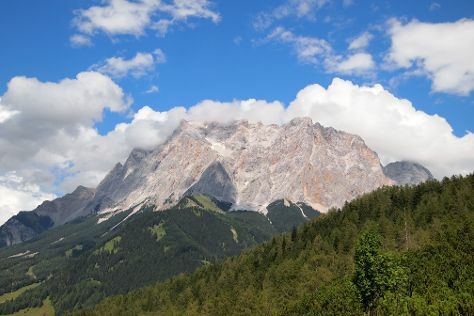 Explore the numerous day-trip ideas around Munich: Schloss Hohenschwangau (in Hohenschwangau), Partnachklamm (in Garmisch-Partenkirchen) and Kirche St. Georg (in Schwangau). The adventure continues: see the interesting displays at BMW Museum, contemplate the long history of Schloss Nymphenburg, and make a trip to Marienplatz. To see other places to visit, ratings, and more tourist information, read our Munich day trip planning app . You can drive from Heidelberg to Munich in 3.5 hours. Other options are to take a train; or fly. Plan for little chillier nights when traveling from Heidelberg in October since evenings lows in Munich dip to 5°C. Finish your sightseeing early on the 11th (Fri) so you can drive to Salzburg. Surrounded by mountain ranges and boasting a well-preserved city center, Salzburg melds culture and history. Discover out-of-the-way places like Wilde Wasser and Parasailing & Paragliding. Get out of town with these interesting Salzburg side-trips: Hallstatt (Hallstatt Skywalk "Welterbeblick" & Salz Welten). Next up on the itinerary: browse the exhibits of Salzburg Fortress (Festung Hohensalzburg), stroll through Mirabell Palace, step into the grandiose world of Schloss Hellbrunn, and contemplate the long history of Salzburg Cathedral (Dom). For maps, photos, other places to visit, and more tourist information, read our Salzburg route planner . You can drive from Munich to Salzburg in 1.5 hours. Other options are to take a train; or take a bus. Expect a daytime high around 17°C in October, and nighttime lows around 7°C. Wrap up your sightseeing on the 14th (Mon) early enough to travel to Vienna. The cultural, economic, and political center of the country, Vienna has developed from its early Celtic and Roman roots into a medieval and Baroque city, with an old town that was designated a World Heritage Site in 2001. You'll explore the less-touristy side of things at Melk Abbey and Rathaus. Change things up with a short trip to Wehrkirche St. Michael in Weissenkirchen (about 1h 35 min away). Pack the 19th (Sat) with family-friendly diversions at Prater. There's much more to do: admire the natural beauty at Schonbrunn Palace, take in the architecture and atmosphere at St. Peter's Church, examine the collection at Imperial Palace (Hofburg), and explore the world behind art at Kunsthistorisches Museum Wien. To find maps, photos, other places to visit, and more tourist information, you can read our Vienna tour planner. Getting from Salzburg to Vienna by flight takes about 2.5 hours. Other options: take a train; or drive. In October, daily temperatures in Vienna can reach 17°C, while at night they dip to 8°C. Wrap up your sightseeing by early afternoon on the 21st (Mon) to allow enough time to travel back home.